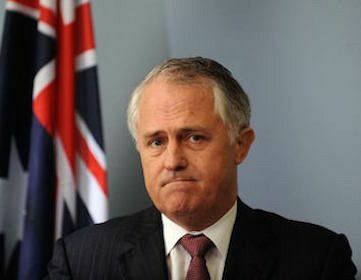 John Passant discusses Malcolm "Trumble" Turnbull's declining popularity following a disastrous week, alongside the steady rise of the"PHONys". IT HAS NOT been a good week for Mr $1.75-Million-Loose-Change-Man, Prime Minister Malcolm Turnbull. First, he was shamed into revealing his $1.75 million donation to the Liberal Party. This donation was made conveniently after 30 June to avoid it being revealed until January 2018. However, the public interest in a $200 million man throwing what are for him baubles at the party he was leading, to what turned out to be a one seat election win, forced him finally to reveal the extent of the donation. Transparency by public pressure had a victory. Now for a disclosure regime that is instantaneous and for a Federal independent commission against corruption to dig into the systemic corruption that is Australian politics. Any other dreams? Democratic socialism in my lifetime? Then, of course, there was "clean" coal. As Malcolm recognised in 2010, there is no such thing as clean coal. But Malcolm and the malcontents are pushing this lie to give the impression they are on the side of workers, who are rightly worried about jobs, rising electricity costs and reliable supply. The best way to address jobs is for workers to take over the big manufacturing and energy plants that are closing and run them themselves. They could, for example, turn the car factories into renewable energy and public transport infrastructure-producing plants, and begin a process of building solar and wind farms across Australia. The best way to address rising costs is for workers to win substantial real wage increases — something I am pretty sure this government, or a future Labor-led government, would not support. The best way to ensure a reliable energy supply is to go totally renewable, with storage. Even in establishment economic terms, coal is becoming uneconomic and none of the banks or major providers and suppliers are remotely interested in investing in "clean" coal. Malcolm Turnbull on clean coal in 2017 and 2010 via Getup! Then there is Donald Trump. Our forgettable Prime Minister Mr Trumble (the White House Press Secretary’s words, not mine) spoke to Mr Trump recently about that rotten refugee deal he did with former President Obama five days after Trump was elected, but two months before he was sworn in. The deal was basically to people smuggle the 1,250 refugees and asylum seekers from Australia’s concentration camps on Manus Island and Nauru to the United States. The deal conflicts with Trump’s open racism and his attempted ban on Muslims. Hence his reluctance to accept it. This presidential shunning opresents the PM with a real problem. What to do with the people he is imprisoning on Manus Island and Nauru if the U.S. backs out of its agreement either upfront or, more likely, by the backdoor, using extreme vetting as the excuse to reject all or most of them? Turnbull is already "on the nose" with many Australians. The abusive phone call he had from Trump is likely to send the stinkometer to new levels. He can only resolve the problem of the refugees on Manus Island – held illegally according to the Papua New Guinea Supreme Court – and those held on Nauru, by bringing them here to Australia. This would be the death knell for Turnbull — a man who is already on his knees politically. If an election were held today and with the polls in favour of the Bill Shorten Opposition at 54% to 46%, two party preferred, Labor would romp in. This disillusionment with Turnbull and the Liberals at both state and national level will express itself in Western Australian when, if the polls hold up, the Labor Party wins government in March. Latest polling sees Labor lead 54% to 46% on a two party preferred basis. However, the revealing statistic in Western Australia is the rise of Pauline Hanson’s One Nation (the PHONys). One Nation has gone from 3% a few months ago to 13% support across the state. Given that its xenophobia, racism and more general othering appeals to voters in less well off, less unionised, and more regional and rural electorates, it is possible the PHONys could win seats in those areas. Their preferences could determine who forms government. That is why both Labor and the Liberals are courting this party of racism with preference deals. Apparently, principles are something both major parties can pretend to have but abandon in the hope of winning government. Cutting preference deals with the PHONys only further legitimises this racist party. It is not just WA. In Queensland, a Galaxy poll in December showed One Nation’s support running at 16% across the state. It is likely to have increased since then because neither major party can address the fundamentals of secure jobs, better living standards and good health care, transport and education systems, without attacking the sysem itself. Neither can Hanson but she has plain-speaking racism on her side to distract people from her inability to address these concerns, if she and her bunch of tin foil hat loons ever came to power or held the balance of power. Add to that Hanson’s appeal to the crimson thread of racism on which Australia was and is founded and the future looks bright for this party of reaction — assuming it doesn’t split over its incoherence and attraction of "plain speaking" nutters. Of course, climate change denial, anti-Semitism, bagging out single mothers, denying the Port Arthur massacre, as various PHONy candidates do, are all expressions of nuttery. The problem is that many people are voting for One Nation despite these views — or, in some cases, because they see this nonsense as anti-establishment. The turn to reaction and fantasy as fact is happening globally. In Austria, in December last year, an essentially fascist candidate won 46% of the presidential vote. In The Netherlands, the far right anti-Islam, anti-black, anti-EU and, irony of ironies, anti-establishment Party for Freedom of Geert Wilders is leading in the polls for the election on 15 March. All the other parties say they will exclude him and his party from government. But he still wins. The current prime minister’s party took out advertisements echoing Wilders’ and called for people "to act normal or leave". No prizes for guessing who that was aimed at. In France, the fascist Marine Le Pen from the National Front leads in the polls for the first round of the presidential election. Given the disenchantment with the governing Socialist Party and the corruption allegations against the conservative candidate, Le Pen could win the second round. The collapse of social democracy in France in power has been spectacular. The current president, the Socialist Party’s Francois Hollande, is so hated he will not stand for re-election. The party membership has elected a left wing candidate, but there is competition from others to the left of the Socialist Party. This rise of reaction is global. Donald Trump is the most powerful of its representatives. Pauline Hanson wants to be the Donald Trump of Australia, although she has some "early days yet" competition from the likes of Cory Bernardi and his Trump inspired movement, the Australian Conservatives group. Yet there is hope. The massive demonstrations across the United States against Trump, in particular his (nudge nudge wink wink) ban on Muslims, have been inspiring. The protests are globalising because the threat of reaction and the succour it gives to fascism, is not only real but global too. In London, tens of thousands of people protested over the weekend against the Muslim ban and a proposed state visit to the UK by Trump in May. In Sydney, 1,000 protested and, in Melbourne, it was hundreds. The fight back has begun and here in Australia that means fighting back against Trump and his band of global reactionaries and their rotten policies. It means resisting those, like Bernardi, Hanson and the Reclaim Australia crew, openly inspired by Trump. It especially means opposing the most obvious signal and practice of reaction in the country, and fighting for refugees and asylum seekers imprisoned in the concentration camps on Manus Island and Nauru.